And a survivor Jimmy remained. His passing wasn’t unexpected. He’d increasingly had mobility issues and for nearly a year. The surprise, the cause for admiration, was that Jimmy kept his will to cope, and kept his enjoyment of the little pleasures of life, for longer than any of us expected. These pleasures included butterscotch candies, red delicious apples–he usually refused other kinds. A few months ago a visitor thoughtfully brought wonderful orchard apples, freshly picked. Jimmy would have none of those. Supermarket red delicious only, got it? And there’d better not be any juice from Creator’s watermelon slices on Jimmy’s apple slices–that was serious. And razzing Bull Inthe Heather, a definite pleasure. And joking around with people. Jimmy loved to act tough, to grab in a playful way, to engage with you. Right up to his last days he kept what I can only describe as a sense of humor. I was lucky to know Jimmy. I will never not miss him. But I know contending with a body that could no longer obey his strong will can’t have been easy for such a high spirited horse, and he decided when it was time to go. I’ll always admire his power to survive so long and to enjoy the good in life. 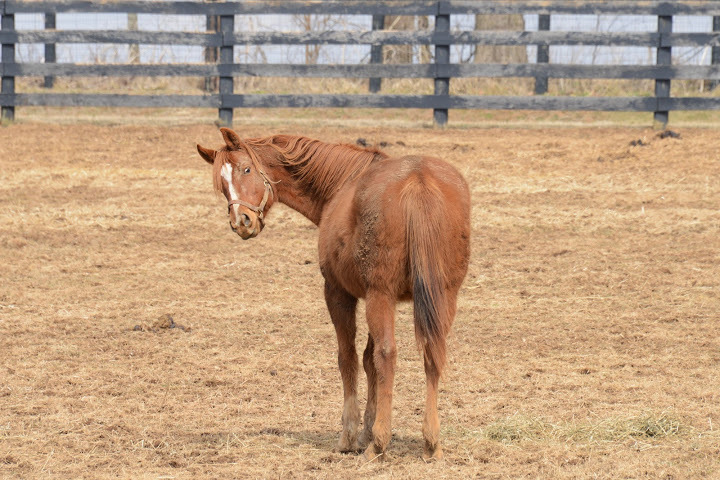 Yet even as we mourn the passing of one survivor, I think it’s appropriate to express thankfulness for two other survivors, our two oldest residents, each of whom has outlived threatened slaughter, and each of whom has recently had yet another happy birthday. 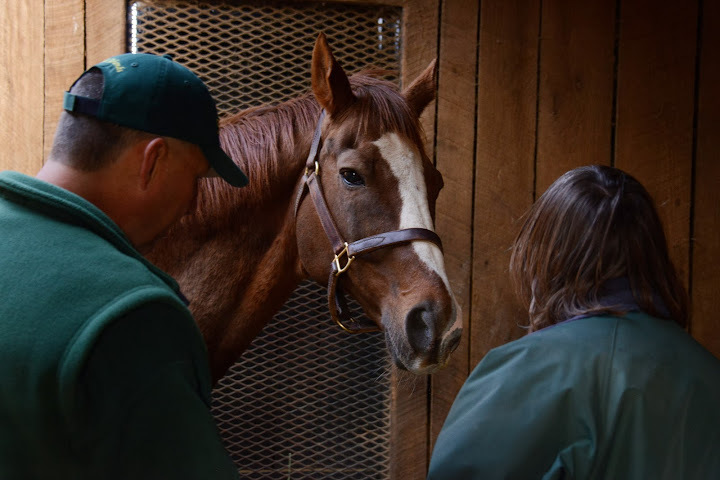 Though all Thoroughbreds officially turn one year older every January 1, Clever Allemont had his real birthday on February 11. He turned 32 years old. That’s the same as a human being over 100. Though old, Clever is as perky and sweet natured as ever. He’s one of the kindest horses I know. Clever Allemont. 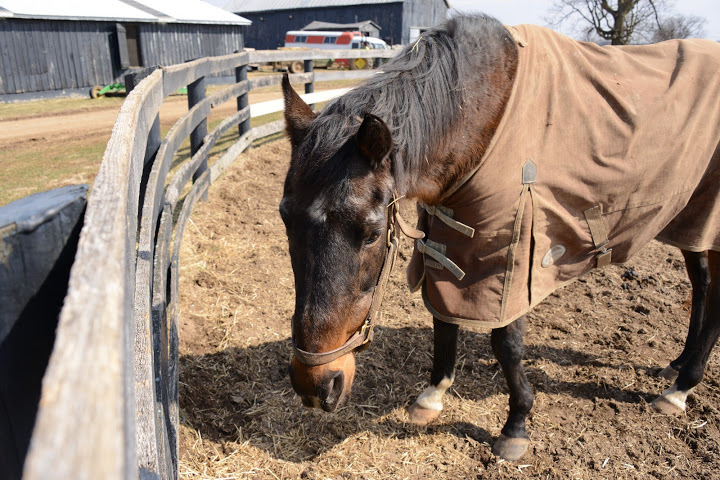 The blanket keeps him warm and dry when he naps in his paddock. He’s kinda sleepy in this photo but he’s an alert guy and in great spirits. …And, of course, today’s birthday boy. 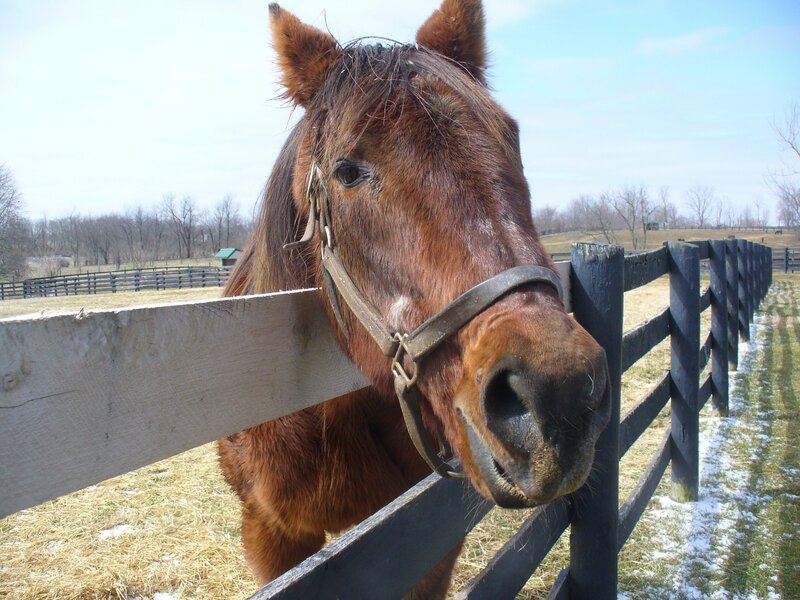 Ogygian was foaled on St. Patrick’s Day 1983. Today he had a happy 31st birthday enjoying the warmer weather and extra attention from Tom and the visitors he guided around the farm. Ogygian doesn’t like sweets, so he celebrated with lots of carrots, and my acknowledgements that he’s the most wonderful horse in the universe. * which is pretty much how he celebrates his ordinary days, too. 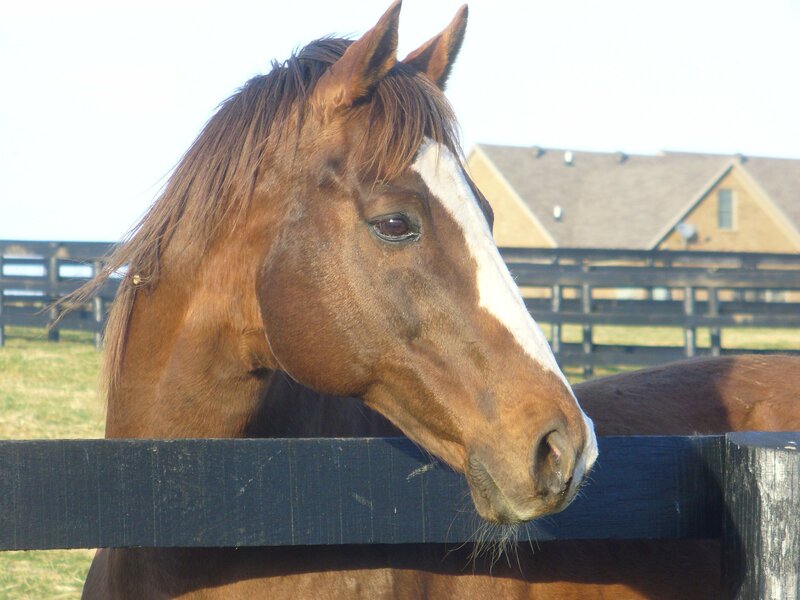 * If you tell me one of our other horses is the most wonderful horse in the universe I can’t argue. They all are. 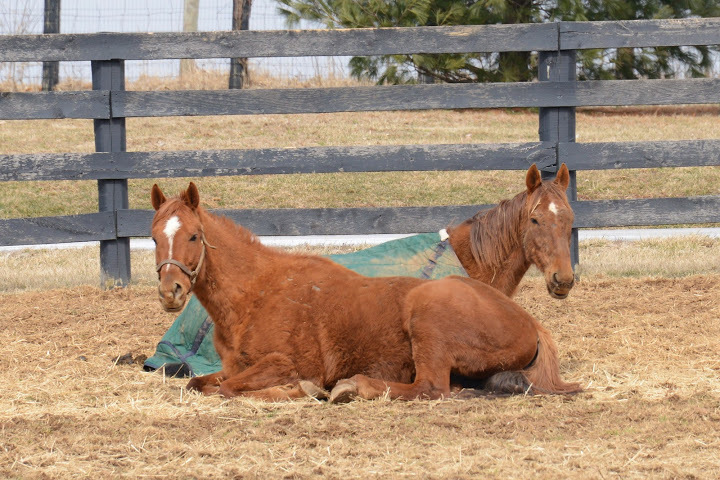 Our two other oldest horses don’t have birthdays for some time. 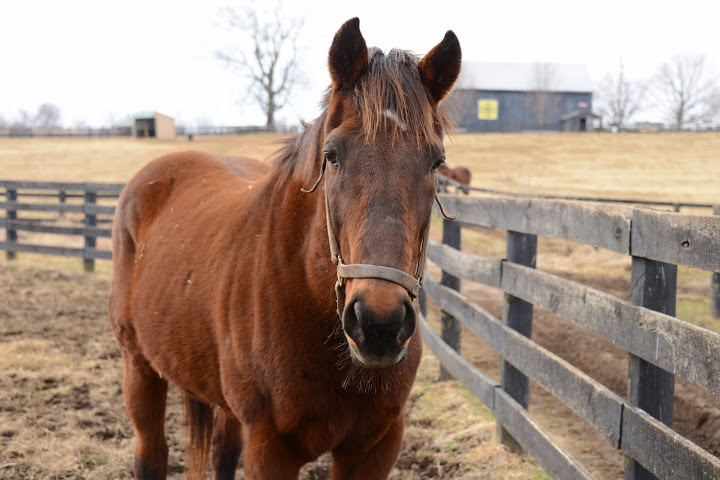 Gulch will be 30 on April 16, and Mixed Pleasure 29 on May 20. Two final photos I can’t help sharing. 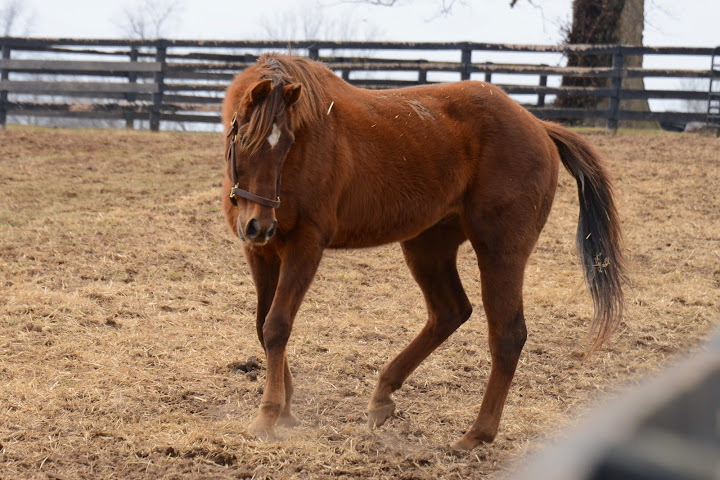 Early Pioneer, his new best buddy Ferocious Won, and their paddock mate A P Slew aren’t that old. They’re just cute.